Our expert roofers provide roof replacement, maintenance, new construction and various repair services for Gresham and the surrounding areas. In addition, and to help the community, we also offer roof inspection services at no cost. For more information, please complete the form on this page or call one of our representatives to schedule your free evaluation. Upon arrival, we can look at specific areas that may need to be repaired or evaluate the condition of your entire roof to determine if replacement is recommended. While we’re on site we can also address any other issues or concerns you may have. 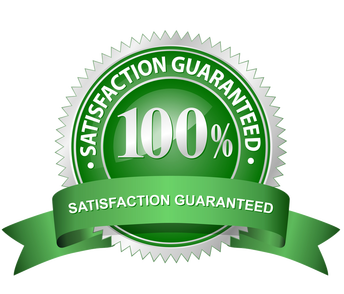 And, of course, you will receive the best customer care and quality workmanship in the business! It goes without saying that here in the Northwest we get a lot of rain. And with the abundance of wet weather, moss and algae can be a problem for your roof. So how do you combat all that green growth? Regular maintenance is the best way to help protect your roof from the worst damage that weathering and age may bring. An ounce of prevention is certainly worth the effort it takes to maintain your roof against premature repairs and more costly headache in the future. Whether it’s pine needle cleaning, roof moss removal and treatment, gutter maintenance or anything related, Gresham Roof Contractors can help. Please contact us for a free inspection and evaluation. Ventilating your attic is important for several reasons. An improperly ventilated roof system can lead to damage of the roof materials, insulation and even the structure itself. Warm air and moisture, if trapped, can incubate mold and rot wood, making it easier to lose shingles. Furthermore, it can increase your electricity bill by requiring your heating and air conditioning systems to work harder. Local building code may also require you to ventilate your crawl space as well. Likewise, a well ventilated design allows your roof to “breathe,” prolonging the duration of its life. One way to accomplish this is to install an attic fan to help pull and circulate the air. The other is natural ventilation, which permits air to flow through vents in the roof. This causes greater equalization with humidity and temperature from the outside environment. If you have a skylight that is damaged or leaking, please contact Gresham Roof Contractors to evaluate the situation and either repair or replace it for you. Or if you’re interested in installing a new one to brighten up your living area, we can assist with that as well. A skylight will allow more of the natural light in while still preserving the design of your home and your privacy. Our professionals are always available and can give you a free quote when you’re ready. Gutters are an essential and often neglected part of most properties. If your gutter is leaking, the effects can eventually be expensive, resulting in water damage to the building, the surrounding landscaping and even your foundation. Common causes are sagging sections, poor inclines and leaky joints. However, slope and pitch are common issues and usually just require routine repair. Standing water is another problem that more often results from gutters simply needing to be cleaned. A full gutter will cause rain runoff to overflow down the side of your building, while clogged downspouts create stagnant pools which can lead to pest problems. We recommend cleaning gutters twice a year, at which time they can also be inspected. This will help ensure there are no blockages or damage. As for materials, choose from a variety including vinyl, aluminum and steel, seamless or sectional, plus custom choices depending on your needs. We offer free inspections, and our friendly repairmen are always happy to help answer any questions you may have. Contact us anytime for more information about roof cleaning and gutter services. Do your soffits sag? Or are your fascias failing? If yes, or if your gutters are starting to come loose and hang off, we can help! The problem may not actually be with the gutter itself, but rather with the underlying material. Your eaves are important, so let one of our roofing associates know if you have repair questions or whether you would like to install new decorative fascias. At Gresham Roof Contractors we understand your budget may be limited, so give us a call and we’ll give you a free estimate. If you feel you could be paying too much for a high heating and cooling bill but aren’t sure, you may want to consider having a free appraisal done of your roof insulation. An energy audit will give you the information you need to make that assessment - and it may even surprise you. In fact, a well insulated roof can lower your electric bill by as much as 20% every month! These days attic insulation comes in various R-values and materials including fiberglass, foams and plastics, plus other natural and synthetic fibers. Of those types, most are installed by means of blowing, spray foam or precut batts. Although each method has its benefits, blowing tends to be more energy efficient than batting, more cost effective than foam and is a quick and easy means of installation. When considering your options, it is also important to know that many insulation materials contain harmful health and respiratory irritants. Please do not attempt to install them yourself! Instead, call one of our trained certified technicians today and schedule your free inspection and installation.